While some among us attempt to delude themselves into thinking that we live in a post-racial society, with each passing day it become abundantly clearer that this concept is a farce. Racial tensions are increasing throughout the nation, and negative attitudes towards minorities have exacerbated substantially, with many thanks due to those who misuse religious principles to gain political power while simultaneously backing racist arguments and ideas. For example, take hate-mongering republican candidates Donald Trump and Ted Cruz, who (for some reason or another) have amassed large evangelical Christian followings. Many of us watch presidential debates and are left scratching our heads, trying to understand what about profanity and hate speech is so enticing to devoted members the Christian faith. Certainly, racial and ethnic discrimination are ugly traits we witness within our own religious communities, as well. In churches and mosques alike, these rising tensions know no limits - but what do mainstream faiths like Christianity and Islam actually have to say about racism? 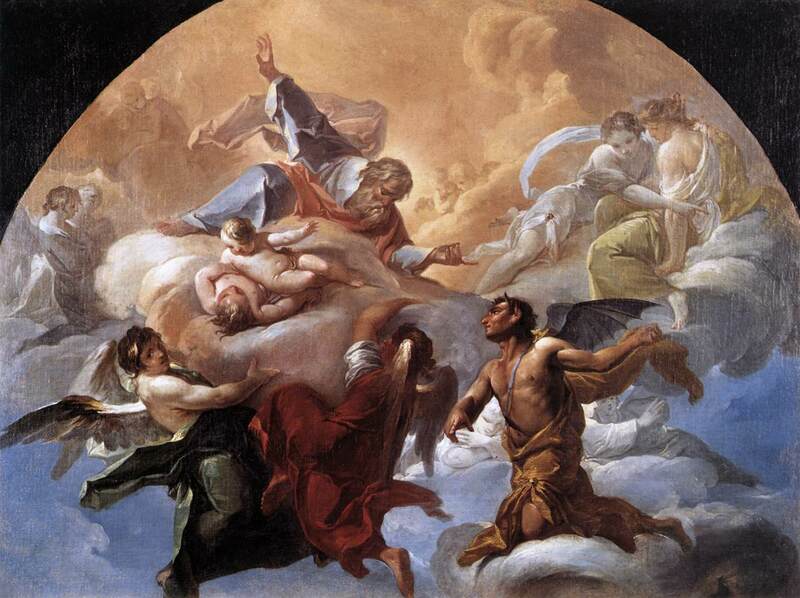 The original sin is often attributed to the first of mankind, but these Abrahamic faiths agree that Satan was the first to transgress against God. According to the Holy Scriptures that compose the doctrines of Christianity and Islam, the Devil was a sinner long before Adam and Eve. According to biblical canon, Satan's heart was corrupted by his ego, and his desire to overtake God in heaven was his fatal sin. Ezekiel 28 offers a recount of Satan's demise through the description of a proud earthly king, who had been Satan's vessel. "Your heart became proud on account of your beauty, and you corrupted your wisdom because of your splendor" (Ezekiel, 28:17). These verses heavily imply that Satan became infatuated with his own intelligence and beauty, and assumed that he deserved the glory that befitted God alone. Satan allowed his angelic privilege to fester into conceit. His arrogance poisoned his mind. "You were blameless in your ways from the day you were created, till unrighteousness was found in you" (Ezekiel, 28:13-19). Biblical descriptions of the Devil position him at war with God, and that his sin was Pride - one of the seven deadly sins. When he was cast down to earth, Satan pronounced God - and man - his immortal enemy. The Qur'anic telling of Satan's fall is analogous, but entails a clearer description and an earlier telling of his transgression. According to Islamic tradition, Satan was a djinn who rose to the ranks of the angels due to his righteousness and diligent servitude. As the story goes, God ordered all of the angels, including Satan, to bow before the first man - His newest, perfect creation. Satan refused this command, and transitioned almost instantaneously from God's favorite to the most damned creation of all time. This sudden transition is immensely crucial in comprehending the gravity of Satan's crime. In the Qur'an, Satan says to God, "I am better than him (Adam); You created me from fire, and You created him from clay" (Al-Qur'an, 7:11-12). Interestingly, Islam provides a clear recount of the precise moment Satan turned against God. His deviation is clearly fueled by pride, but his justification is embedded in pride's sinful derivative: racism. Fire and mud - the primordial elements that comprise djinn and man can be seen as the precursors to race and ethnicity, and are the grounds upon which Satan defies the Lord. "I am better than him," the unembellished exclamation of conceit that cast Satan into the depths of Hell for all of eternity. The Bible itself condemns racism as a sin and spiritual illness. The New Testament affirms that Christ is in all, and that every individual is unified in God regardless of status, origin, or race. The Bible condemns hatred of another, stating that "the one who hates his brother is in the darkness and walks in the darkness, and does not know where he is going because the darkness has blinded his eyes" (1 John, 2:11). This verse dooms the hateful ignorant to walk a path without direction, and reinforces the idea that one is accountable for their hatred of another. Likewise, the Qur'an is scattered with verses that dissolve racism, condemning racial hierarchies in the practice of Islam. According to the Islamic faith, the presence of diversity on Earth is shown to be evidence of God's hand in creation. "Among His proofs are the creation of the heavens and the earth, and the variations in your languages and your colors. In these, there are signs for the knowledgeable" (Al-Qur'an, 30:22). As stated by this verse, witnessing and experiencing different races, languages, and heritages are meant to strengthen our belief in God. Living together harmoniously in both recognition and acceptance of these differences demonstrates the all-powerfulness of the Divine. Despite our differences, "mankind is naught but a single nation" (Al-Qur'an, 2:213). Both Abrahamic in origin, Christianity and Islam preach unity in faith, and finding brotherhood by transcending superficial traits. With kindness, humility, and community at the core of these faiths, Satan's rebellion and prideful nature seem to be the very antithesis of their teachings. 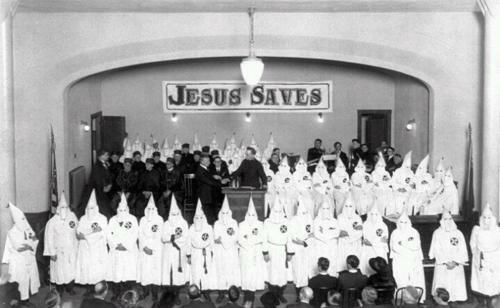 If racism is inherently satanic, what does this say about contemporary acts of racism performed by God's self-proclaimed devotees? If the original sin was an act of Satan's pride, what does this say about evangelical theists who claim to live by the holy texts of the Bible and Qur'an, who in the midst of their worship discriminate against others on the basis of their origin? Is racism not pride, the native quality of Satan, the ultimate nemesis, the enemy of God? "I saw Satan fall like lightning from Heaven" (Luke, 10:18). "Be sober-minded; be watchful. Your adversary the Devil prowls around like a roaring lion, seeking someone to devour. Resist him, firm in your faith, knowing that the same kinds of suffering are being experienced by your brotherhood throughout the world" (1 Peter, 5:8-9). "Verily Satan is an enemy to you: so treat him as an enemy. He only invites his adherents, that they may become Companions of the Blazing Fire" (Al-Qur'an, 35: 6). The most despised entity in the history of the world kicked off his career by conceitedly putting himself above others. Considering the state of our country's current racial climate, we could all learn something by opening our eyes to the hypocrisy embedded in using religious indoctrination to fuel systematic injustice and discrimination, both in government and community politics alike.